Rupert Neve is an English electronics engineer and entrepreneur, who is particularly known as a designer of professional recording equipment. He is known for his work on microphone preamplifier, equalizers, and early large format mixing consoles. Many of his long discontinued products are considered classic equipment and are very highly sought after by the professionals in the recording industry. This has resulted in several companies releasing products that are Neve replicas or clones. He is often credited as the man who made the recording console. He was the third person to receive a Lifetime Achievement Technical Grammy Award and became an inducted member of the Mix Hall of Fame in 1989. He was named man of the century by Studio Sound Magazine in 1999, and was selected by his peers as the number one audio personality of the 20th century. Rupert Neve was born a British national although he spent much of his early childhood in Argentina. The start of World War II increased demand for radios and Neve began repairing and selling radios. When he became 17 he volunteered as a soldier for the British navy and soon after settled in England where he built a mobile recording studio in which he recorded choirs, operas, and public addresses. In the 50s he worked for Rediffusion, primarily a forerunner in early cable tv systems (CATV. Neve left the company, and formed CQ Audio, a company specializing in the manufacture of hifi speaker systems. In the early 1960s he designed and built a mixing console for a composer named Desmond Leslie, from Castle Leslie, Ireland where the original desk is still housed. 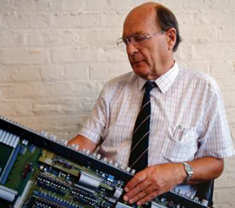 In 1964 he built a transistor based mixing console with an equalizer for Phillips Record Ltd. As demand for consoles increased Neve started a life of manufacturing and designing audio recording equipment. Neve has founded or been involved with several companies and currently runs Rupert Neve Designs, based in Wimberley, Texas. The original Neve group was sold to Siemens in 1985. Siemens then merged Neve with another UK audio console manufacture AMS (Advanced Music Systems) and form AMS Neve. After the merger, Siemens closed down the Neve production facility and moved all production to AMS's Burnley facility. Many of the original Neve staff made the move to Burnley and continue to work at AMS Neve. AMS Neve now hold the intellectual property rights to all products designed by Rupert Neve during his ownership of the Neve group. ARN Consultants helped Amek design Consoles. ARN Consultants designed the 2 channel mastering box, the Masterpiece. ARN Consultants currently trades under this name. Rupert Neve Designs markets a small variety of microphone preamplifiers, equalizers and compressors. Rupert Neve Designs also manufactures a line mixer, the 5088. 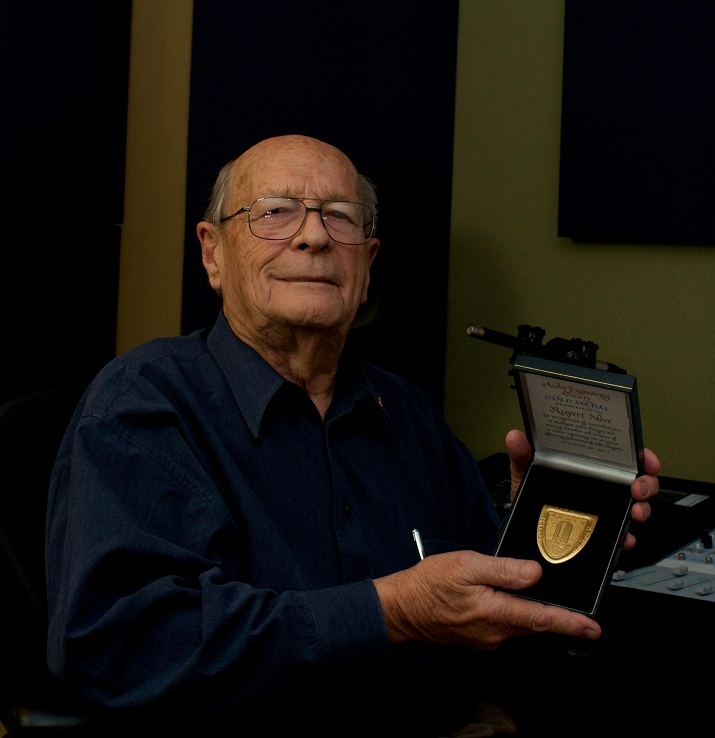 Rupert Neve receives the Audio Engineering Society Gold Medal Award. 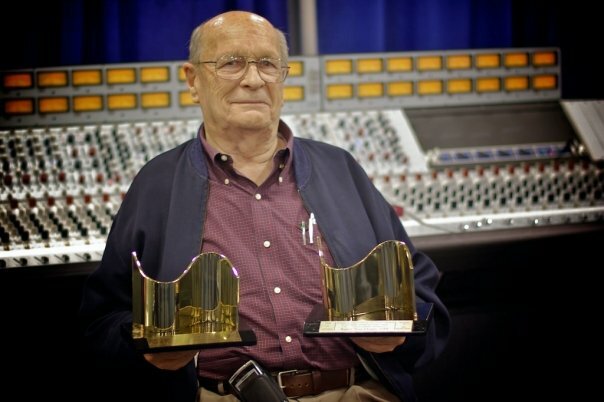 Rupert Neve and his, well deserved, 2009 TEC awards. Rupert Neve inspecting an AMEK 9098i console module. Do you have content or pictures, to add, of Rupert Neve? Do you just want to say "Hello!"? Please feel free to Share it, here!